(Undated) – If you have anything outside you don’t want to blow away you better secure it. 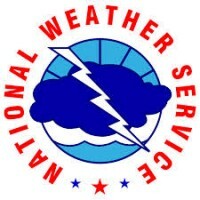 The National Weather Service has issued a “Wind Advisory” in effect until from 10 this morning to 7 this evening. Strong winds may blow down tree limbs and power lines, causing scattered power outages. Travel could become difficult, especially for high profile vehicles on east-west oriented roads this afternoon. According to the latest forecast we could see wind gusts today in excess of 50 mph and daytime highs in the low 80’s. The front that is bringing the high winds will also bring with it cooler temperatures, daytime highs tomorrow are forecast to be only in the 60’s. Stay tuned to WTYE for the latest weather information.